Kia’s range-topping SUV might be a sedan underneath. Previewed by the beautiful yet buff Telluride Concept at the 2016 North American International Auto Show, Kia’s range-topping SUV is going to have a few things in common with the company’s brand new K900 sedan. , the new high-rider will slot in above the Sorento and will likely take over the mantle as the company flagship. 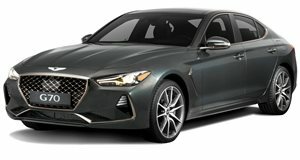 The platform will likely be related to siblings from both Genesis and Hyundai. Orth Hedrick, the product planner charged with plotting out Kia’s roadmap in the U.S., stopped short of confirming the Telluride or similar product would be based on the K900’s longitudinal, rear-drive architecture, but did call a K900-based crossover a natural thing. “The components are there,” Hedrick told . “We don’t have anything in the plans yet, but we certainly could. 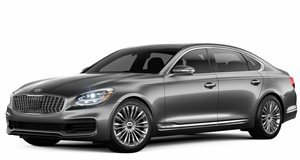 All the rolling stock is there.” Kia unveiled the 2019 K900 at the 2018 New York International Auto Show last month and announced it will come standard with a 3.3-liter twin-turbo V-6 and all-wheel drive. Its platform is closely related to the one underpinning the Genesis G80 and G90, and it likely served as the starting point for the upcoming GV80 crossover. Hedrick dropped another roundabout hint that the Telluride could use a version of the K900’s platform when alluded to the big-bodied Kia as a more mass-market offering compared to the Genesis. “There’s the Lincoln Aviator and then there will be the Ford Explorer,” Hedrick said cryptically. The production version of the Telluride is expected to debut later this year, it should bring the concept’s boxy exterior and minimalistic cabin, but don’t expect much in the way of off-road prowess.